laeliz85 has not added any external profiles yet. laeliz85 is not following anybody. Also, I have a couple dresses I would like to trade. I have a Cloverlace Dress NWOT in a size 10 that I would like to trade for 10 Petite. Possibly a 12 Petite. I also have a NWOT Cherie Dress in a size 12 that I would like to trade for a size 10 Petite or 12 Petite. If you're interested or have questions, please email me at laeliz85 at gmail dot com. Thanks! Please feel free to message me if you have any questions (laeliz85 at gmail dot com). As long as I have no bids on an item, I'd be happy to end it early. Thanks! If for some reason the link doesn't work, my seller name is laeliz522. If you have any questions about any of the items, feel free to message me at laeliz85 at gmail dot com. Thanks for looking! Thanks for looking! Please message me at laeliz85 at gmail dot com if you have any questions. Thank you! Thanks for looking! Please feel free to message me if you have any questions. My email address is laeliz85 at gmail dot com. Hi! Still looking for a yellow Alice in Autumn Sweatercoat in a size medium or large. Please message me at laeliz85 at gmail dot com. Thanks! 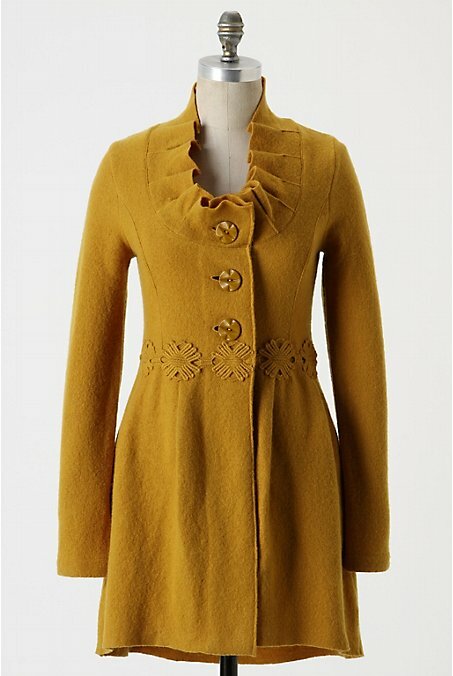 I am looking for a yellow Alice in Autumn Sweatercoat in a size medium or large. Please message me at laeliz85 at gmail dot com. Thanks! I would also be willing to trade my large for your medium. Thanks for looking! If you have any questions feel free to message me at laeliz85 at gmail dot com. Also, I'm happy to end an auction early if there are no bids on the item for a fellow EA-er. Happy bidding! Hi! I've been searching for a yellow Alice in Autumn Sweatercoat by Charlie & Robin ever since my navy one got to be too big. I would really like a size M, but may take a L. Please let me know if you're willing to part with yours. You can message me at laeliz85 at gmail dot com. Thanks! Thanks! Was able to snag one of these!